De Hogeweyk is a place where people living with an advanced dementia can live their life as usual. The built environment and the support of the (professional) employees and volunteers offer every individual person the right place to live their life, in freedom and safety. De Hogeweyk works with a government funded budget, the same as any traditional nursing home in The Netherlands. Yvonne van Amerongen has been working for nursing home Hogewey since 1983. Initially as a supervisor for the welfare service. Later the coordination of the voluntary work was added. In 1991 she set up the Day Care centres for people living with dementia and for elderly people with physical problems. Later in the same year she developed a new product: special assistance for people developing dementia, in a number of homes for the elderly in the vicinity of nursing home Hogewey. As from 1992 Yvonne acted as Care Manager with a focus on wellbeing in the nursing home, the Day centres and the 6 projects for people developing dementia in homes for the elderly in the direct vicinity of nursing home Hogewey. In 1993 Yvonne became a fulltime Project Manager for the development of the care concept “living as usual in lifestyle for people living with dementia”. This project was also the subject matter of her graduation thesis for the Higher Vocational Training in Social Pedagogic Care with a specialisation in Management. 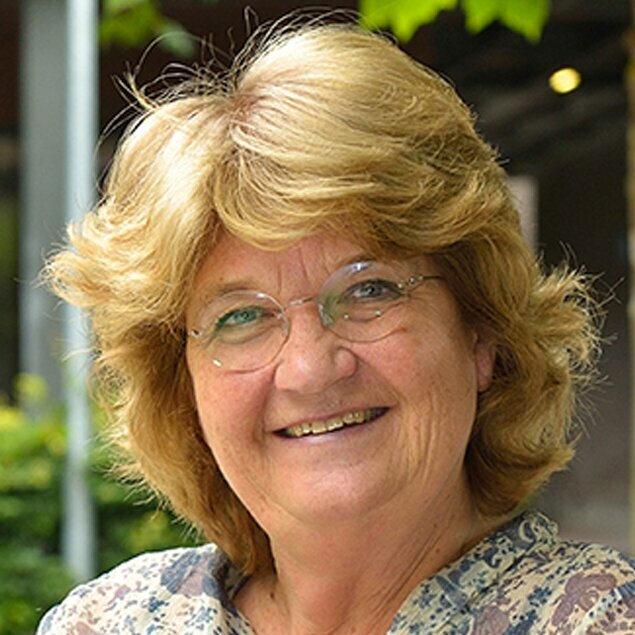 Since 1996 Yvonne has been a staff executive for Quality & Innovation for Vivium Zorggroep in Weesp and environs. In the last years she has advised and supported other organisations to develop a facility for people living with dementia, with a focus on quality of life. De Hogeweyk (part of the Hogeweyk nursing home) is a specially designed neighbourhood, encompassing 23 homes, which houses 139 elderly people who are suffering from dementia and have been assessed as having a nursing need. Together with a permanent team of staff, they take care of their own households and cooking and washing etc. take place in the home each day. There are streets, squares, gardens and a park within the neighbourhood and, just like any other residential area, De Hogeweyk has a range of facilities including a restaurant, a café and a theatre. These facilities can be used both by residents of De Hogeweyk and by people living nearby; everyone is welcome!